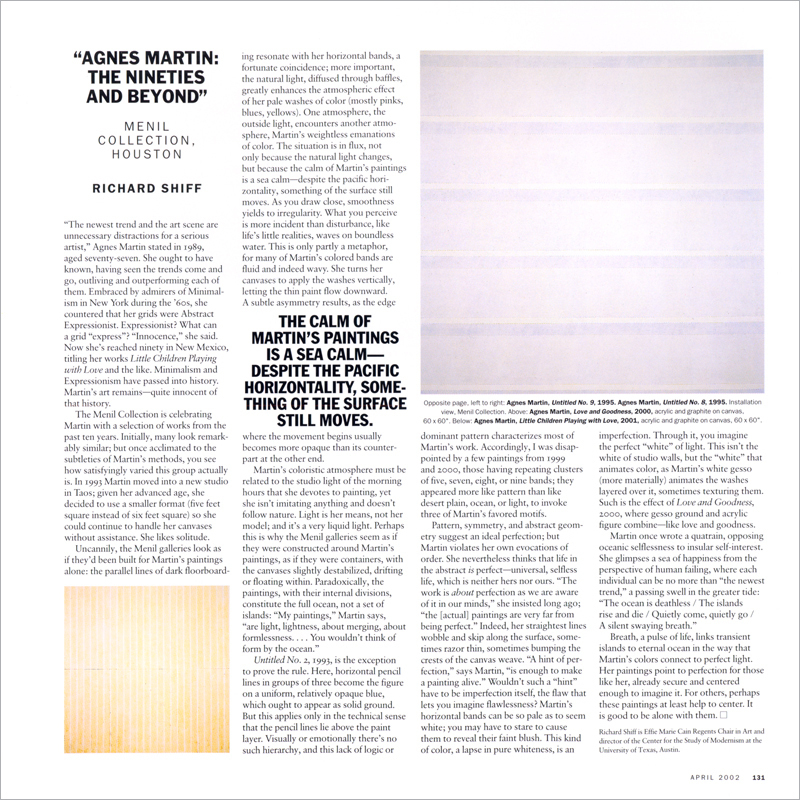 “The newest trend and the art scene are unnecessary distractions for a serious artist,” Agnes Martin stated in 1989, aged seventy-seven. She ought to have known, having seen the trends come and go, outliving and outperforming each of them. Embraced by admirers of Minimalism in New York during the '60s, she countered that her grids were Abstract Expressionist. Expressionist? What can a grid “express”? “Innocence,” she said. Now she's reached ninety in New Mexico, titling her works Little Children Playing with Love and the like. Minimalism and Expressionism have passed into history. Martin's art remainsquite innocent of that history. Order the PRINT EDITION of the April 2002 issue for $17 or the ONLINE EDITION for $5.99.